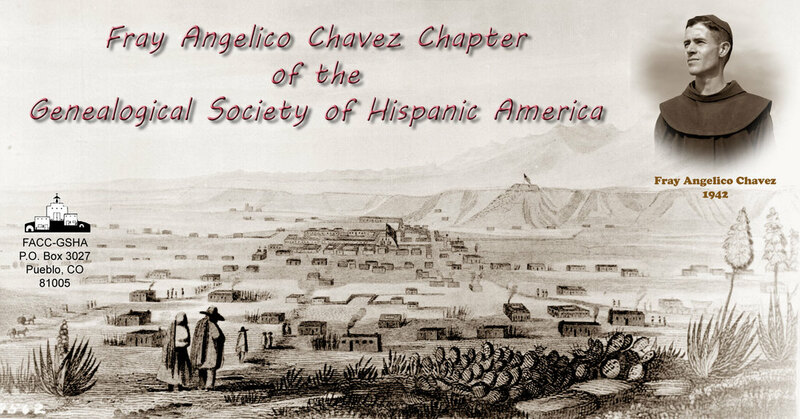 ​The Fray Angélico Chávez Chapter of the GSHA promotes Hispanic genealogical and historical research by expanding awareness and knowledge of Hispanic culture, historical contributions, and traditions. Research material to its members includes extracted baptisms and marriages from various churches, census records, family trees, various genealogy journals, death and cemetery records and recorded speaker presentations. They all can be checked out for a month at a time. The General Membership Meetings are held on the 2nd Saturday of each month, with members doing research and checking out materials from our genealogy library from 8:30 a.m. to 10 a.m. The General Membership Meeting is from 10 a.m to 11 a.m., after which there is usually a speaker presentation from 11 a.m. to Noon. The meetings are held at the Pueblo Heritage Museum (see map below),located in the heart of downtown Pueblo, Colorado, across the street from the Union Station. ​When you purchase qualified items from Smile.Amazon.com the Amazon Foundation will donate .05% of the purchase cost to the FACC. Log onto smile.amazon.com instead of amazon.com. Choose the Fray Angelico Chavez Chapter as the charity name. Must log on to smile.amazon.com to work.